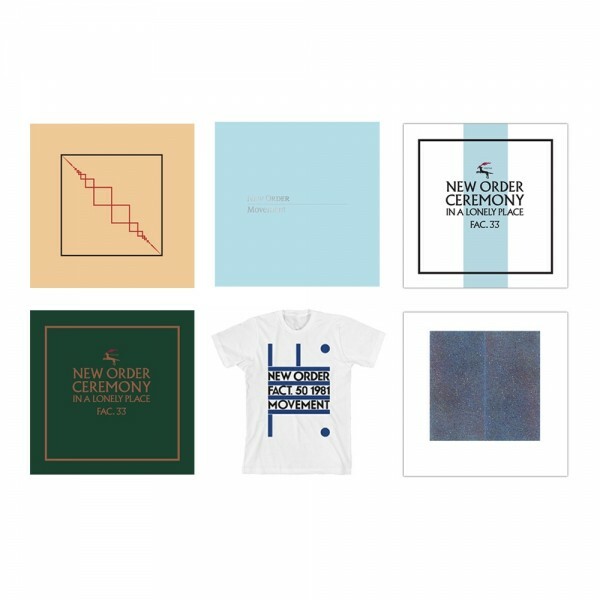 Includes all four remastered 12” vinyl, Movement Definite Edition, and the new Movement artwork t-shirt for a reduced bundle price. New Order’s debut album Movement recorded between 24th April to the 4th May 1981 at Strawberry in Stockport and featuring all new material, produced by Martin Hannett was released in 11th November 1981 on Factory Records . The Movement boxed set includes the vinyl LP with its original iconic sleeve designed by Peter Saville, original album CD in replica mini album sleeve, a bonus CD of previously unreleased tracks, DVD of live shows and TV appearances plus hard backed book all housed in a lift off lid box.